Hanne's irresistible work charmed us so much that we bent our rules of South West UK artists to include a lady from Denmark! 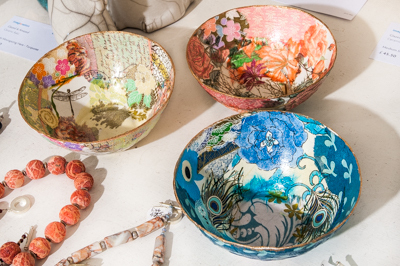 Our stock of Hanne's bowls is constantly changing; they are bought every day! Call us and we can send photos of available choices.